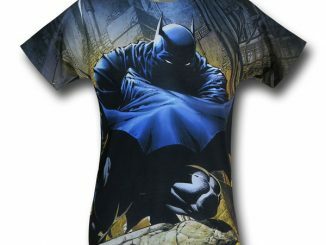 Transform yourself into the Caped Crusader with the Batman Sublimated Costume with Cape T-Shirt. 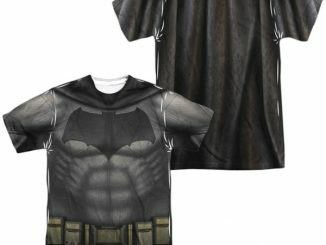 Some people might have the incredible (ha) opinion that no capes is the way to go, but don’t let the Dark Knight know that because the cape is more than a fashion statement for him. 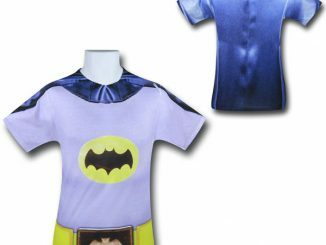 You might not be able to use it to glide through the air or conceal the fact that you’re reaching for a batarang, but this 100% polyester tee lets you feel like Batman by providing a cape for you to look dashing in. 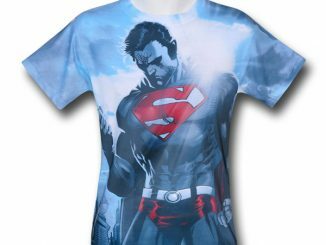 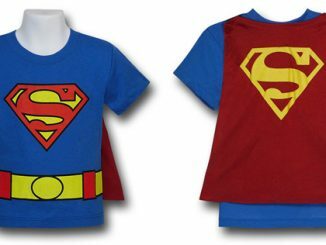 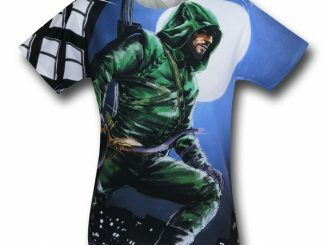 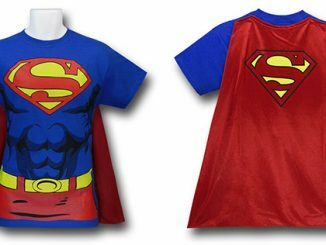 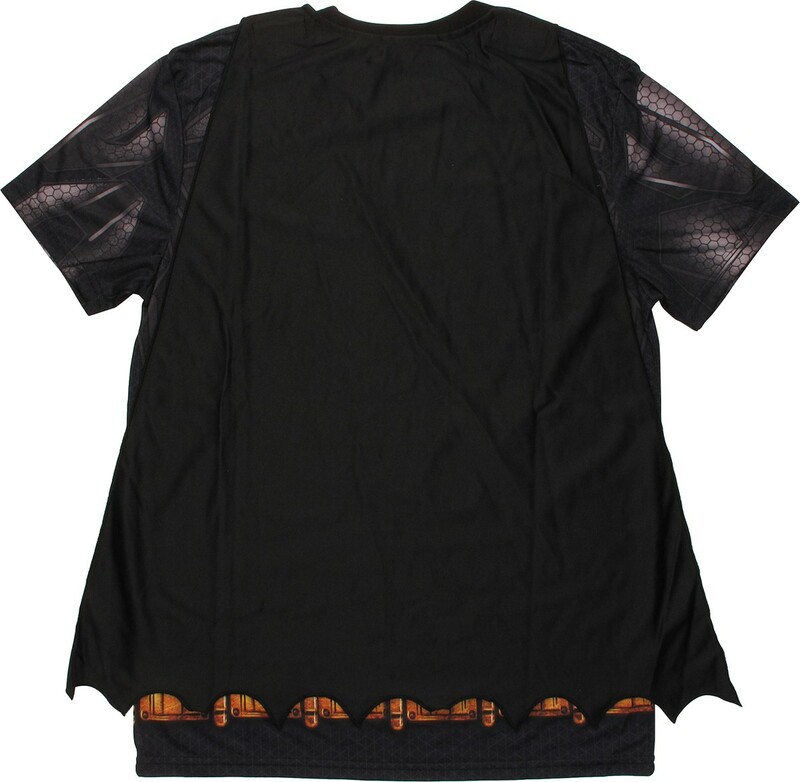 Want to show off the stylish design of the t-shirt itself without the cape getting in the way? 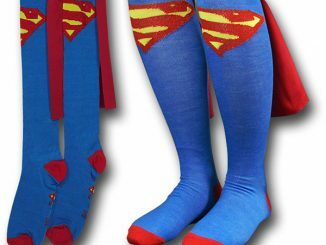 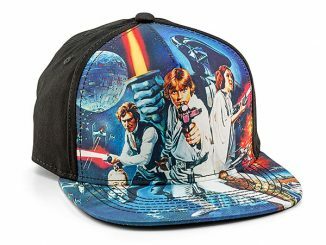 No problem because the Velcro cape is detachable. 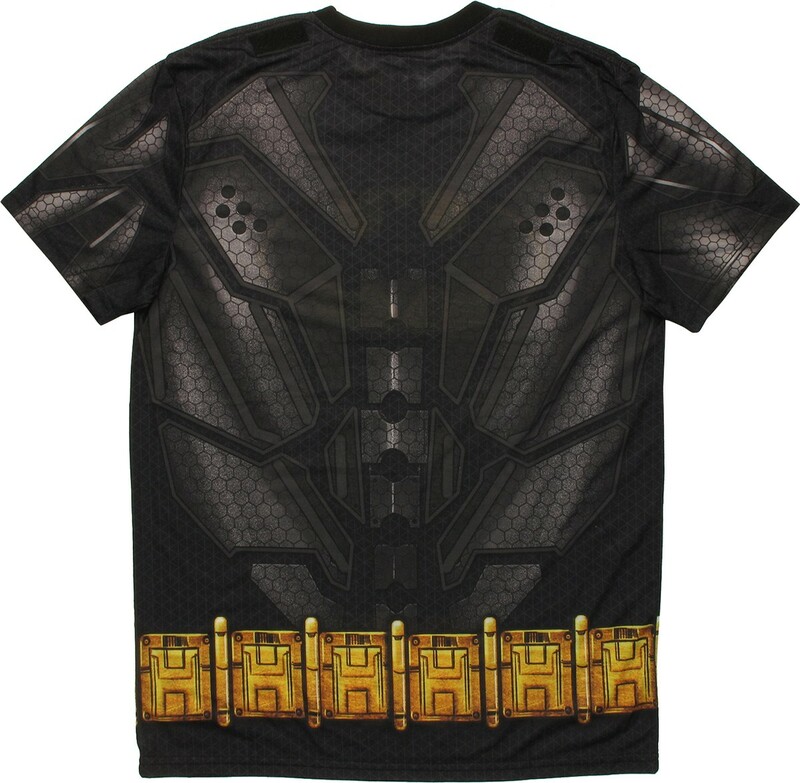 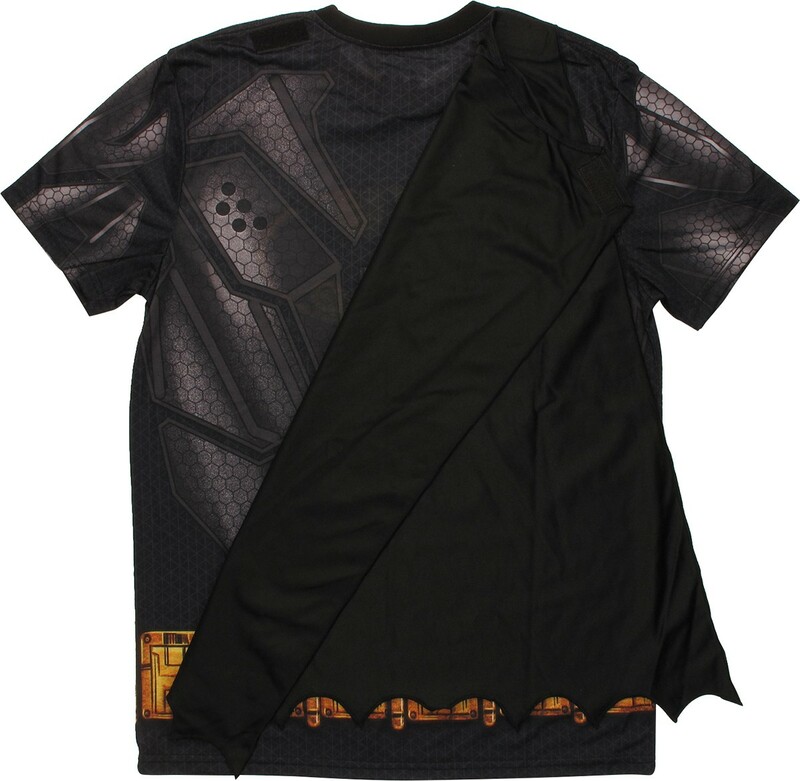 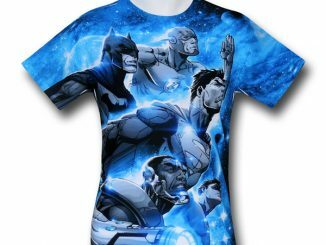 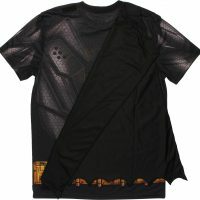 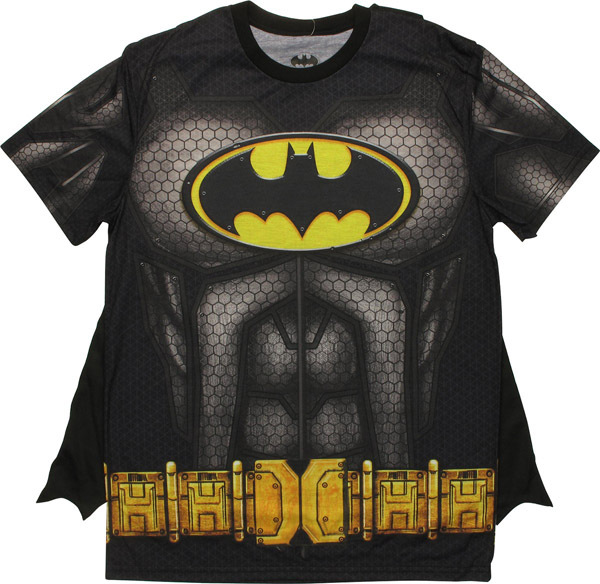 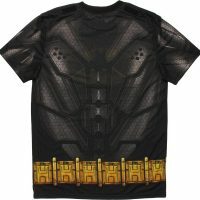 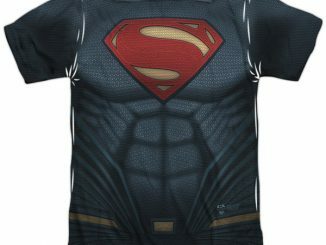 The Batman Sublimated Costume with Cape T-Shirt is available for $29.88 at StylinOnline.com.